Arthritis is a painful condition which can affect many items in your body and osteoarthritis of the hand is common in a number of specific areas in the hand. It occurs more frequently in certain parts of the hand including the joint at the base of the thumb, where the thumb meets the wrist. Another key area for hand arthritis is the joint at the end of each finger closest to nail, where you may find bumps which are known as Heberden’s nodes. The final key area is the joint in the middle of the finger, where the bumps that arise are known as Bouchard’s nodes. You may feel constant pain, a dull ache and it may cause trouble with your fine motor skills, ability to grip and many activities around the home. How is arthritis in my hand diagnosed? For a proper diagnosis your doctor will conduct a regular physical examination, look at your medical history and they may notice the most common symptoms of arthritis including swelling, warmth in the painful area, deformity and loss of motion. You may be referred for more tests including x-rays and bone scans. 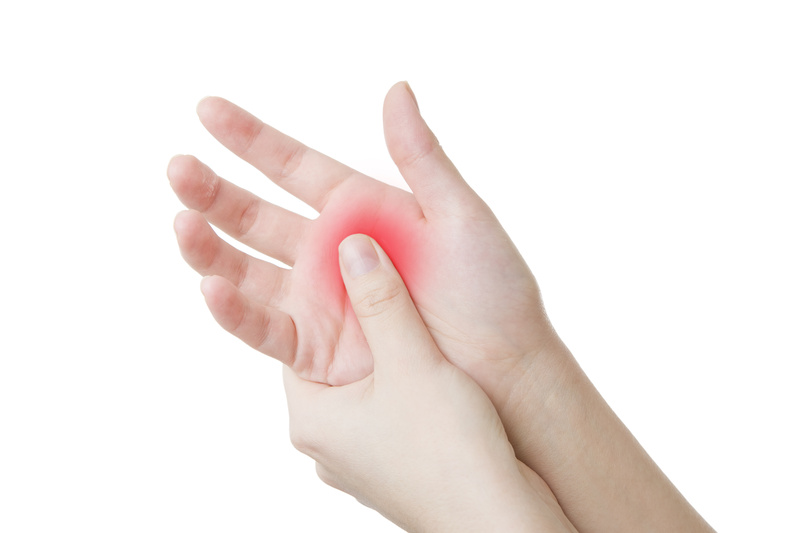 How is arthritis in my hand treated? Your arthritis may be treated in a number of ways – you are likely to be prescribed medications including anti-inflammatory and analgesic drugs and you may also be offered injections of a pain reliever/steroid combination. It will also be recommended that you rest the joints as much as possible and you may be recommended heat treatments or cold treatments to ease the pain. Your doctor may also give you exercises to carry out and you may be given steroid injections directly into the joints. You may also need surgery which is usually either joint fusion or joint reconstruction. Arthritis in your hand can be extremely painful and can make day to day life more difficult and therefore seeking treatment is really imperative to improve your quality of life. If you have any questions about arthritis of the hand or would like to book an appointment with Dr Stephanie Barrett then please get in touch here.